A lot has happend since No Man’s Sky first released in the summer of 2016. The game, and the developer Hello Games received an enormous backlash once it was revealed that the game didn’t come with all that was promised beforehand, as well as some scathing reviews to boot. Usually, that results in the immediate end of a games life cycle, and sometimes the developers too. 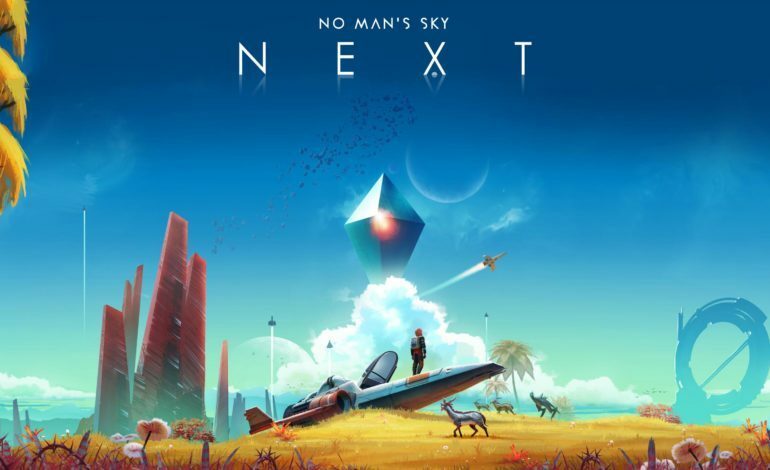 However, despite such a negative feedback, Hello Games continued to work on the game post launch, and added more expansions for next to nothing just to keep their title, and their reputation, afloat. Some of the players, new and old, returned to No Man’s Sky, and while it still doesn’t quite live up to the promise of the original hype, they found that it has a new plethora of content waiting to be explored. With renewed vigor for the game, Hello Games announced back in May that they would be adding a multiplayer expansion, titled No Man’s Sky Next, on July 24, 2018. Earlier today, Hello Games founder, Sean Murray, released a new trailer for the expansion. This is No Man’s Sky NEXT. The trailer looks promising, with players running around each other and warping to new space zones in multiple ships all at once. According to Hello Games, players can either team up with friends or be joined by random travelers. When you are rampaging across the Universe, you can create shelters on planets, engage in space ship battles, and race your ships on racetracks as well as creating some races and sharing them online. Another big change coming alongside the expansion is the ability to change the perspective’s from First-person to Third-person at will, and this includes your ships. Hello Games also stated that they are overhauling the visuals to make them look even more life-like with beautiful draw distances of space and the terrain on planets. The two other additions to the expansion is the ability to build bases anywhere on any planet, as well as the ability to assmble and upgrade your space fleet, which will also consist of a custom captiol ship. With this much coming out of the new expansion, No Man’s Sky looks to be making a comeback, although whether more gamers want to give it a second, or third chance, remains to be seen. At least the developers haven’t given up on it. No Man’s Sky Next will release on July 24, 2018 for PlayStation 4, Xbox One, and PC. It’s important to note that the update will be free for those who own the game on PlayStation 4 and PC.